There’s no question that eating fruits and vegetables is good for your health, but did you know that the colors of the foods you eat can tell you a lot about their benefits? Eating right isn’t always easy, especially since we live in a time where eating quick means fast, cheap, and typically fried, monochromatic meals. Eating the recommended amount of fruits and veggies can be a real challenge, especially when you consider, for example, that the recommended amount of red and orange foods each week is 5.5 cups, and for dark green foods it’s 1.5 cups. 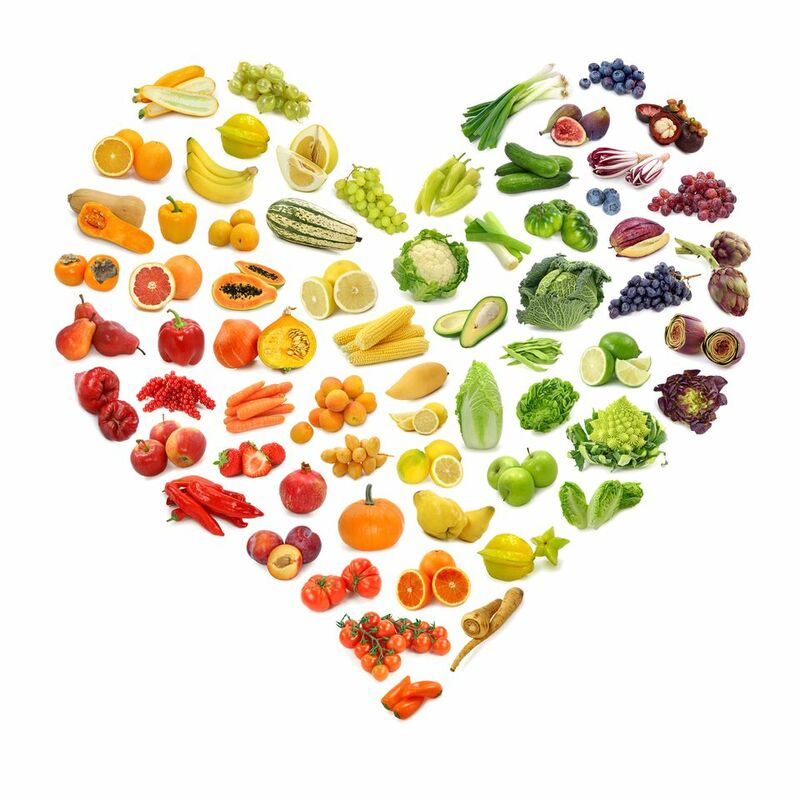 It’s important to make an effort to add some color to your diet, and a great way to do just that is to give Passanante’s Home Food Service an opportunity to impress you and your family with our delicious assortment of organic produce. A food delivery service like Passanante’s takes the inconvenience out of the process by stocking your home with a huge variety of colorful foods that you can feel good about preparing for your family. Check out the explanations below to learn more about what foods you should be eating, and what foods can help you accomplish your health and nutrition goals. Red – Red foods are heart healthy and improve joint strength. Additionally, most red foods contain lycopene, which may help protect against prostate and breast cancers. Orange – Orange foods are rich in vitamins A and C which help keep your eyes, bones and immune system healthy. These foods are usually packed with antioxidants to help clean up our systems and reduce free radicals. Yellow – Yellow vegetables improve skin, support our digestive system, and even help to prevent vision degeneration… a triple threat! Green – Green foods including broccoli and kale help the body to produce more enzymes to clear toxins from the body. In addition to their potential to prevent cancer, green foods increase our immune system, and strengthen the entire body. Blue/Purple/Dark Red – Blue, purple and dark red foods are wonderful for the heart and help to ensure the optimal functionality of the brain. These foods have been shown to improve memory and prevent some cancers. Passanante’s would love to help you and your family maintain a healthy lifestyle. If you’re interested in a free food sample to see what we’re all about click here and we’ll send you a full-sized sample of all-natural meats and organic veggies! This entry was posted in Food Tips and tagged all-natural meat, colorful eating, Food Delivery Service, Free Food Sample, Organic Vegetables, Passanante's Home Food Service by Passanante's Home Food Service. Bookmark the permalink.